I remember the day I opened the email and saw the words, Congratulations! You’re a part of the God-sized Dream Team! It was a long time ago, that November 2012 morning, and sometimes I still can’t believe all that’s happened since the day Holley’s message made it to my inbox. I didn’t know the amazing blessings that were coming. To make a long (but fun!) story short, I’ll just say that the email led to a book launch team and some dear friendships as we connected and shared our hearts and spoke our dreams, as we covered each other in prayer and cheered our fellow dreaming sisters on. 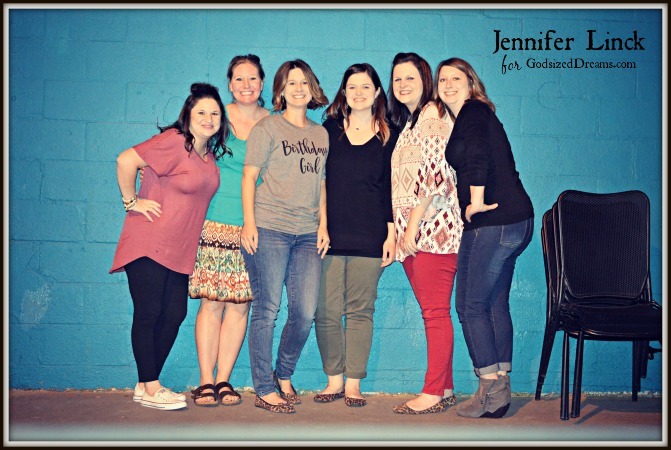 When the book launch officially ended, several of us broke off and formed a mastermind group, continuing to pray, encourage, and dream-chase together; it was in that group that our brave friend, Christine, spoke her God-sized Dream. 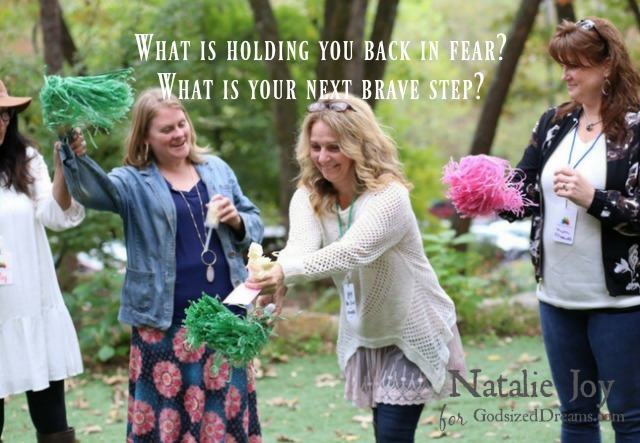 Eager to encourage her and jump on board, we were all excited to join her as she headed up the beginning of this corner of the internet called God-sized Dreams. In January of 2014 we launched this space as a place for dreamers to be encouraged, to share their stories and struggles, and to walk this road with others who had dreams burning in their hearts and needed the hand-holders as they stepped forward with whatever big and sometimes-scary things God had called them to do. I can tell you that those of us who have been a part of this place have been blessed…many times over. We have loved being here, sharing our hearts with you, and hearing about all that God has done in your lives. Things have changed some…writers have joined and some have moved on to other things. Leadership has changed, too…both Kristin and Alecia have also been amazing leaders in this community over the last few years. There have been changes, but it’s always been such a blessing to be part of. And maybe that’s why today’s announcement feels a little bittersweet. After four years and a little more, God-sized Dreams is taking a pause. It’s a decision that wasn’t made lightly and not without a lot of prayer. Because where there are dreamers (that’s us!) 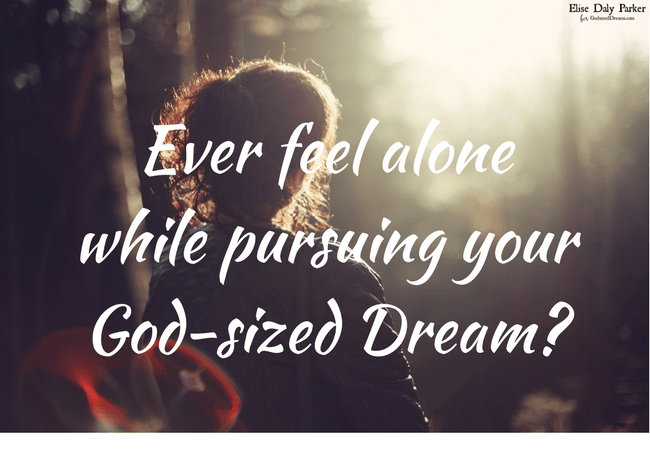 and when God is in us…well, there will always be God-sized Dreams. There’s so much encouragement still needed and so many stories that need to be shared, so many prayers that need to be prayed and so many celebrations still to happen over dreams bursting through and being realized. When Alecia and I first had this discussion a couple of months ago, my heart ached…it feels sad to think of a possible ending to something that’s been so sweet. Placing a pause on this space isn’t what we wanted, but God was making it clear that we needed to keep our hands open with the very thing He’d placed in them. And so she communicated our thoughts and plans, and the entire writing team graciously responded. What we know…is that we’re taking a break. That break may end, and it may not. We have ideas, visions…dreams we’d still love to see take shape here. But those need time to sit, and we need some time to wait and rest in order to let God breathe new life into what He might have for us regarding this place. 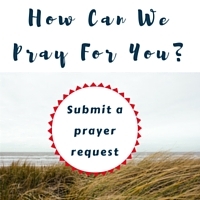 Will you pray with us and for us as we wait to see what God has next? Will you leave a word of encouragement for a fellow dreaming sister (or brother!) in the comments? And, if you feel led, will you share the blessings God has given as you’ve chased your dreams? From the bottom of our dreaming hearts, we thank you all for being here and walking this with us. We have loved having each and every one of you here. 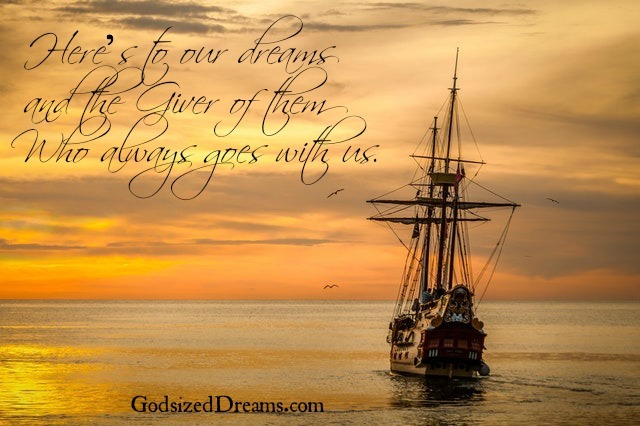 Here’s to our dreams and the Giver of them Who always goes with us. 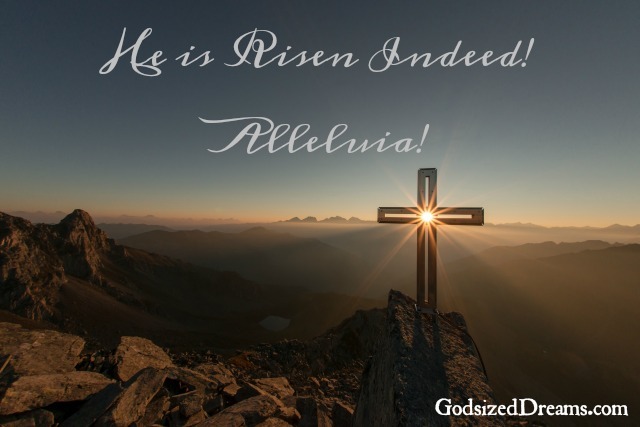 We pray you had a wonderful Easter weekend! Please join us for the linkup below. Havilah Cunnington, Eat Pray Hustle; Dream Chasing God’s Way. I was speaking at a women’s conference in Colorado. We had stepped down from our position as Children’s Pastors almost a year prior at that point. We were trusting God for the impossible. We had a dream- a big dream. I remember not wanting to write part 3 of my talk until right before the women’s retreat because I didn’t want to share my story on dreams until I could wrap it up with a pretty bow- you know, the answered dream part. But I waited…. And God didn’t answer our prayers…. yet. And I knew I needed to share our story of what it looks like when you’re in the middle, waiting on a dream. And to face the reality of not only what it looks like, but to address what if God says “no”, or “not yet”, or “not the way you’re thinking”. And so I shared my heart of, “This is where we are.” And I still had so many unanswered questions. It had already been almost a year of waiting. At what point do we start doing something different? At what point do we ask God if we’ve made a mistake and let go? At what point do we move on? All I could tell the ladies is that we had a dream, and I had no idea what God was doing but that we were called to be obedient and that’s all we could do. We had testimony time on Sunday morning. Towards the end, a woman got up. Her name was Tracy. 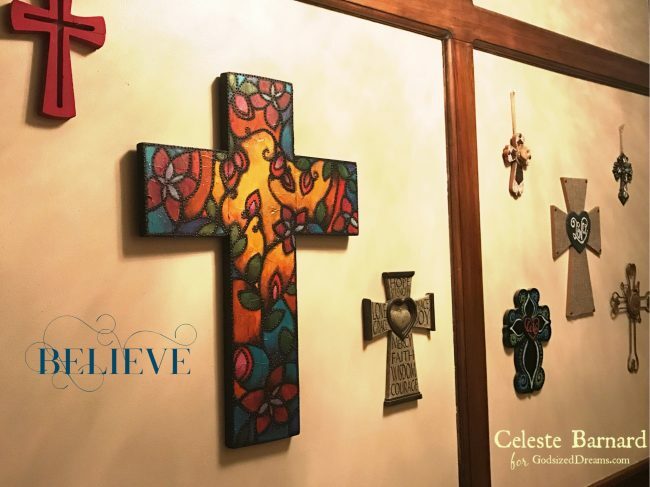 She had won a beautiful hand-painted cross from a local artist, Sarah G. She stood up and told me the Lord wanted her to give it to me and that she knew it was going to hang in our Ranch someday. (It was our dream to have a camp ministry year-round, and we had already found our dream property to do it at. The only problem was that we had no idea how we would ever get it.) When Tracy stood up that morning and said I was supposed to have it and it was going to hang in my ranch someday, my own doubts began to be overshadowed by hope. Someone believed in my dreams. But it sat in my in-law’s house for a time, and then it hung on the rental house for a year and a half and I thought maybe we all missed it. At one point I wondered if the right thing to do would be to send it back because she gave it to me believing it was meant to be in our dream ranch and we still had no clue how that was ever going to happen. But every time I looked at that cross I remembered her words…. that she felt so clearly in her spirit that this cross was going to be hanging in our ranch someday. It’s a powerful thing when someone believes in your dreams. I remember when my son started cross-country. There was a heavy-set young man that joined the team also. We will call him Fred. Just seeing this young man want to better himself was so inspiring. It was a hot, summer August day, and the team was in their first week of practicing together. I got there early to pick up my son and waited in the parking lot. What I witnessed next is forever etched in my heart. The team had finished. Or, I guess I should say, most of them. Everyone but Fred. And after waiting a few minutes the entire team along with their coach decided to go find Fred and finish the run with him. Some time had passed, and then I saw them. Tears streamed down my face as I watched this team run alongside Fred- he was beet red; his entire body a puddle. I wondered what went through his mind as he struggled to finish. Why am I doing this? This is too hard. I just want to quit. But his new teammates wouldn’t let him stop. I heard them shout words of affirmation and encouragement as he struggled to complete the run. “You’ve got this. You can do this. Don’t stop, you’re almost there!” These boys believed in him and wouldn’t let him give up. Ya’ll, this should be us! Unfortunately, we have allowed jealousy and our own insecurities and comparisons to stop our cheering squad. We have bought into the lie that if we celebrate other people’s dreams, our dreams somehow become less. This just isn’t so. The Bible says in Romans 12:15a to rejoice with those who rejoice. If there’s anything I’ve learned on my own writing and speaking journey, it’s that we can’t do this alone. We need to make it a habit to encourage others in their dreams. It doesn’t take away from our dreams, it only adds to the joy, as we all pursue those things that God has put on our hearts…together. What are some practical ways we can show others we believe in their dreams? Write a note, send a text, share an encouraging scripture, let them know you’re praying for them, show up at their special events, give them a shout-out on social media, and make sure to celebrate their victories! After many years of wondering and wandering, the Lord fulfilled our dream of having a ranch and doing camps year-round. And one of the first things I did was find that cross that Tracy gave me. I hung it up in the center of my cross wall as a reminder of not only what God had done, but also as a reminder of someone believing in my dreams. Who can you find this week to show that you’re rooting for them? Pray and ask God to show you someone who is feeling discouraged and how you might speak life into their dream. Think of all the ways that you would love someone to encourage you in your dream, and then go out and do that for someone else. And let us watch out for one another to provoke love and good works. Be a cheer-leader, dream-defender, light-shining, others-centered, hope-giver! I became a full-time working mom last year…in real estate. I’ve become a sponge, soaking up every bit of knowledge I can. It has been exciting, hard, and some days discouraging. This business is tough and so very far out of my comfort zone. There have been moments I’ve said, I don’t want to do this anymore; it’s too hard…too much. James reminds me each challenge is an opportunity to grow, develop, and persevere. I won’t give up or give into fear…but you know, it would be super easy to do just that. As I was thinking of what I would like to share with you today, I remembered how the past six months have tested my endurance. I’ve had days when other agents who began their realtoring (that’s a word in the Real Estate world 😉 ) the same time I did would get leads that actually led somewhere. I would force myself to be happy for them but inside, feel the sting of jealousy and wonder when it would be my turn. And while it did eventually become my turn I thought, you know, I need to share what it takes to get disheartened and give up on your dreams and I think I’ve really narrowed it down…I came up with four practical ways. What are my four ways? 1.Sit around and do nothing. I get it. Go ahead, give up. Give into the voice in your head that says, you’re not smart enough, talented enough…whatever the lie is, give into it. Let it win, the pull is strong, who cares anyways?! You tried, gave it your best and it wasn’t good enough. Wallow in your self-pity and let it overtake you. And then, wipe the chocolate from your mouth, comb the rat-nest out of your hair and TRY AGAIN. Dreamers, winners, champions get knocked down so many times they have bruises on their hearts and knees. But, they get back up, brush the grit from their scrapes and do it again. 2. DO NOT PRAY. For heaven’s sake, if you want to get nowhere fast, decide praying is a waste of your time and energy. Believe those heart-felt cries and pleas are a vapor disappearing into thin air. I’m sure God has more important things to do than worry about your dreams. And yet, with everything the good Lord oversees, He cares about our desires and dreams. He looks on us with love and even singing! Pray…and then pray some more! Want an infallible way to kill a dream before it’s even begun? Go ahead and compare your talents, your personality, your ability, etc. to those around you. Let’s see how far you get. Then come back and sit before God and let Him silence the not enough’s. He wants to reassure you, affirm you, and bless you, so let Him! 4. Do life alone and stay isolated. If you know me at all, you know I’m an introvert. I don’t mind being alone most of the time, but sometimes I enjoy it too much and I forget there’s a big ol’ world out there with lots of people who care about me. Right here in this space, we understand that dreaming is a group effort. It takes a tribe. No man is an island. We are your people, your fellow dreamers, out-of-the-box thinkers. If you dream in isolation you will only get so far, but together, no one can hold us back. Your turn: What would you add to this list? Join me in the comments for a chance to win a copy of Holley Gerth’s book, You’re Made for a God-sized Dream. We put our house on the market about a month ago. After much prayer (and research) we knew it was time to begin a new chapter. We hadn’t planned to move, but having a child with special needs means plans often change. We’re moving to ensure our son gets the best education possible. While our decision to move was based primarily on Jackson’s educational needs, I’m excited to see what God has in store for us as we pack up our home and move to my favorite college town. As a mother, I want Jackson to find his place at his new school. I want him to thrive and become all God created him to be. I want him to make friends who see past his challenges to the amazing boy he is. And as I pray about the dreams I have for my son, I realize I have similar ones. I want to find my place in a new community, too. The truth is, finding and being part of a community isn’t easy for me. Sure, I’m part of several Facebook groups and feel pretty connected online; but the real-life stuff leaves me full of insecurity and feeling pretty alone. 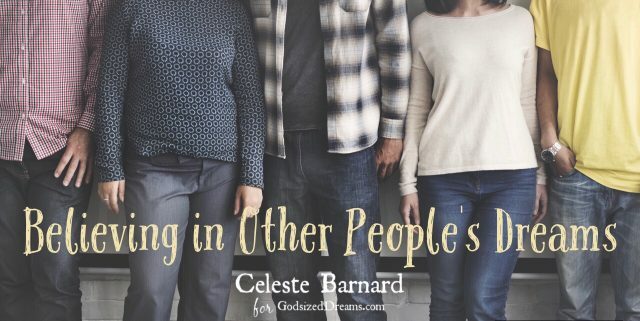 I’ve never been the girl surrounded by a big church family or lots of friends. I see other people who have community and I wonder why I don’t. This is something I’ve struggled with my entire life. God, is something wrong with me? I’m pretty sure I’ve asked Him that question a thousand times. The other day during my prayer time I poured my heart out to God. Lord, why does it seem like I’m without community? Why do I not have more “close” friendships? There were tears and transparency and tender moments between a Father and daughter. In the moments after I uttered that vulnerable prayer, the Holy Spirit impressed answers upon my heart. I opened my journal and wrote as quickly as I could. It’s because you depend on people instead of me. You seek from them only what I can give – true love, acceptance and worth. You would exchange an intimate relationship with me for more people who will never meet your greatest needs. So I limit the number of people in your life because I’m a jealous God who wants a relationship with you. Tears stained the pages of my journal as I sat with the reality of the words I had written. I didn’t feel judgment or shame. I felt an overwhelming amount of love. God calls us to community, but sometimes His idea of community looks different than ours. That day during my prayer time, God reminded me that my small community isn’t insignificant. When I struggle with insecurities about my place within a community or the number of close friends I have, Jesus always brings my heart back to what friendship looked like for him. He had twelve disciples, but only three were considered his really good friends. In Matthew 17:1 it says, After six days Jesus took with him Peter, James and John, the brother of James, and led them up a high mountain by themselves. And again in Mark 5:37, He did not let anyone follow him except Peter, James and John the brother of James. That intimate moment with my Heavenly Father was a healing experience. While I still yearn for community and struggle with insecurity at times, I’m reminded there’s nothing wrong with me, God is insanely jealous of my time and His idea of community isn’t always the same as mine. As my family embarks on this new journey, I’ll trust God to bring just the right people into my life and into my son’s. It was back in the days before I had time to myself. Back when bottles, diapers, preschoolers and four kids in seven years took up all the free time, and then some. Our friends affectionately called them “the blurry years.” Late nights, early mornings and busy, lots of busy. Days of dishes and laundry. A uniform comprised of clothing that wouldn’t hold tight to spit up, finger paint and dirt. If you had looked in on our slightly chaotic world I would have been the first to tell you, this was my dream.Well, one of them at least. I never did find a way to enjoy waking up in the middle of the night, but I loved sticky fingers, wet kisses and rocking to the rhythm of sweet baby breaths. Baby socks, stroller walks and teaching ABC’s, all of it was a dream come true for me. A gift. Along with the best husband on the planet, the six of us were a community. Our church had closed, and we were drifting in a lifeboat wondering if we would find somewhere to dock. Sometimes there were neighbors, family and friends, but mostly just us. We were living out our dream. Encouraging, crying, laughing, praying and lending a hand. Because sometimes our dreams only need a community of a few who will stand with us. But, this dream was going to need all the help it could get. Besides the steady voice of my husband and the patient voice of the God who gifted the dream in the first place, it was quiet. Crickets. With only two voices in my corner and a whole lot of self-doubt, I was having trouble believing I could be a writer. Because sometimes our dreams need a community of cheerleaders who will stand, pray and fight for us. I remember the day we set foot in that new church. Holding our little ones hands, we took a deep breath. Our small community was about to expand. The God of the universe was whispering “yes.” He was gifting us with a safe place to raise our children, a group of people who would become our friends. A company of people who would journey with us. 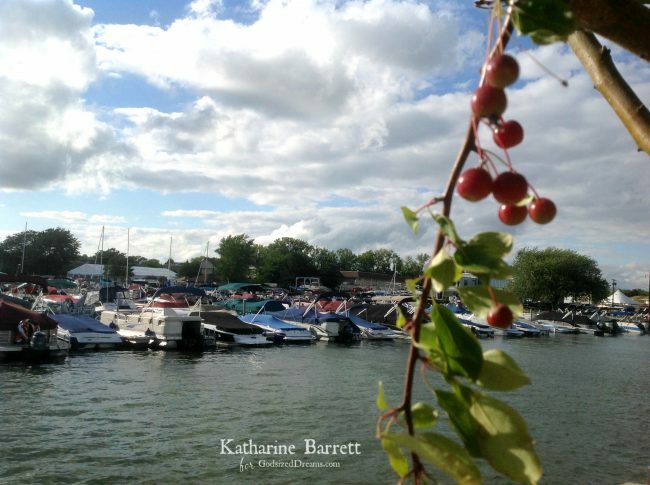 He was asking us to dock our boat somewhere new and we trusted Him with our hesitations, hopes, and dreams. Because sometimes our dreams need a community of cheerleaders, who will stand with us, pray with us and fight for us. There were cheerleaders in that place that are still part of my community. They stood with us, fought for us, loved us, and encouraged us to be who we were created to be. They offered hope, opportunity and editing! And I began to really write. Because always, our dreams need a community big or small that can encourage, speak into our lives and teach us to do the same for others. The size and shape of the company around us has changed with the course of life and the call of our good God. Community looks different in various stages of life and that’s a good thing! In each one we listen, learn and continue to dream. 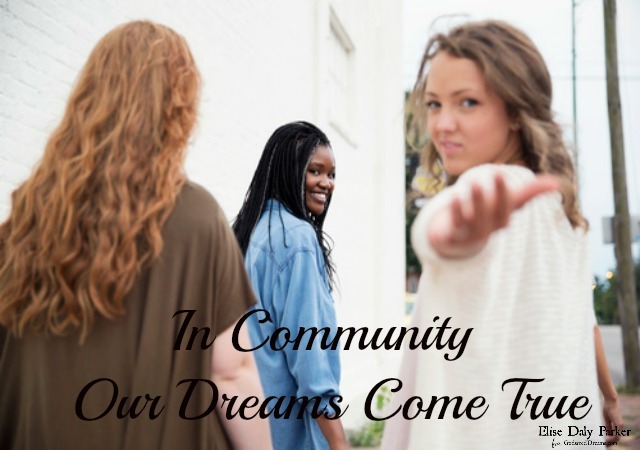 Because always, our dreams need a community big or small to encourage, & speak into our lives. Being the only girl in our family of four children, I was raised to be strong, independent, and self-reliant. Living with three brothers, I learned quickly how to stand my own ground. In fact, one saying our father coined in our family was, “You gotta be tough.” So, I was. My loving parents did everything they could to prepare and equip me to be able to take care of myself when I got out in the real world. That included changing my own flat tire, pumping my own gas, balancing my checkbook, and cooking, cleaning, and the like. They taught me to work hard, to stand up for what I believed in, and that nothing was impossible for me to achieve. Maybe it was because of my independent spirit or my self-reliant attitude that for a long season in my life I believed I could handle most anything and everything on my own. I wasn’t one to ask for help, and I certainly didn’t want to appear like I needed any. Goodness no! That changed the day my father died. Life, as I knew it, came to a standstill. The pain of my heartache was excruciating, and I buckled under the weight of my grief. This was well beyond what I could handle, and it didn’t take me long to understand this was something I couldn’t bear on my own. Friend, I pray you have not experienced such heartache and grief in your life. I pray you’ve never lost anyone so close and so dear to you. But, if you have, I’m sorry. I’m so very sorry. I imagine you might be able to relate to and understand such brokenness and pain. God, however, met me in ways I never could have expected. At times I could almost feel Him holding me in my heartbreak and pain. That verse is true about Him being close to the brokenhearted. He provided a handful of friends who came alongside to help carry me and my grief. God taught me it’s okay and acceptable to allow others to help, and it can be a blessing to ask for it. We weren’t meant to travel this road of life alone. God didn’t design us to walk this road of life on our own. You and I are designed for community. We are fashioned to do life with those around us. To walk alongside each other, to lift, to bless, to serve, to infuse hope. To encourage one another in our God-sized dreams and to do life with each other. We already know life is a precious gift. But, it becomes even more special when it’s shared with others. A life shared becomes more than it could ever be on its own. Life becomes even more special when it’s shared with others. But, what if you find yourself alone? What if you don’t feel you’re a part of a community, or you feel you don’t need one? What then? My best suggestion is to pray. Whatever situation you find yourself in regarding community, I encourage you talk with God about it. He has the answers no one else has, and if you’re desiring community, He has one just perfect for you. A bond grew between me and those friends who traveled that road of grief alongside of me. They became the community I didn’t know I needed. A community placed in my life by God, Himself. A community that helped me dream again. And, a community I can’t imagine my life without. Friend, we are made for community. 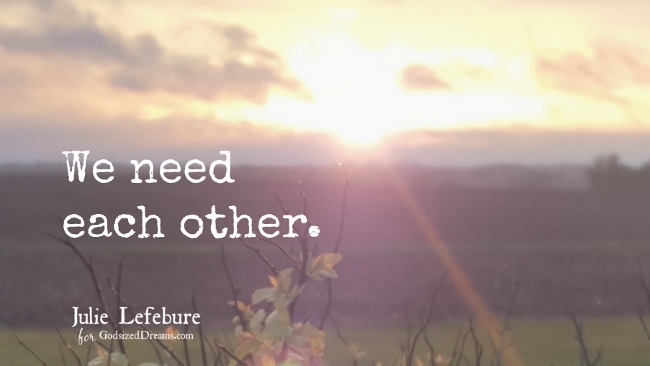 We need each other. Every year, for over 10 years now, we gather as a supportive, caring, listening, praying, laughing, loving community in our friend’s seaside home the last weekend in January. We call it the Wonderfully Not Normal Weekend. There are about 15 of us, give or take one or two who regrettably can’t make it because something, though very few things, take precedence over this unique and precious time together. The goal is always to get there Friday evening for our first community meal. The menu plan is really no longer a plan at all. It just flows organically. Everyone brings their specialty, along with lots of snacks – nuts, fruit, granola bars, and of course, lots of chocolate! And, while the conversation could easily flow organically too the whole weekend long, there is purpose in this weekend – to connect, to know one another, to hold a sacred space for one another, to pray for one another. Community-to connect, know one another, hold a sacred space for one another, pray for one another. Because nowadays, time and space, full-time and part-time jobs and ministry separate us. The years of being home with our kids have mostly long passed. When we first began this holy weekend we allowed time to drift along, with a few non-negotiables. We always gathered in the wide-open living room, the fire crackling in the big stone fireplace for most of our time together. And we listened to one another. Trials, triumphs, tragedies…all mixed up in one weekend. One had a crisis with a child. Another’s marriage was on rocky ground. Still another had finally lost some weight. One just had her first daughter’s wedding…and then a grandchild. We recapped life together. Now we’re more intentional with this sacred community time. Each of us is invited to share for 10 minutes about whatever they like or need, as the case may be, to talk about. Then we, the listeners, get 5 minutes to affirm the designated speaker, ask a question for greater understanding, reflect back what we’ve heard. But we are not allowed to try to solve our speaker’s problem, or fix or advise. The point is to listen…to hear. Finally, the one who has just shared sits in a chair, and we gather round and lay hands on her and pray for 5 minutes. 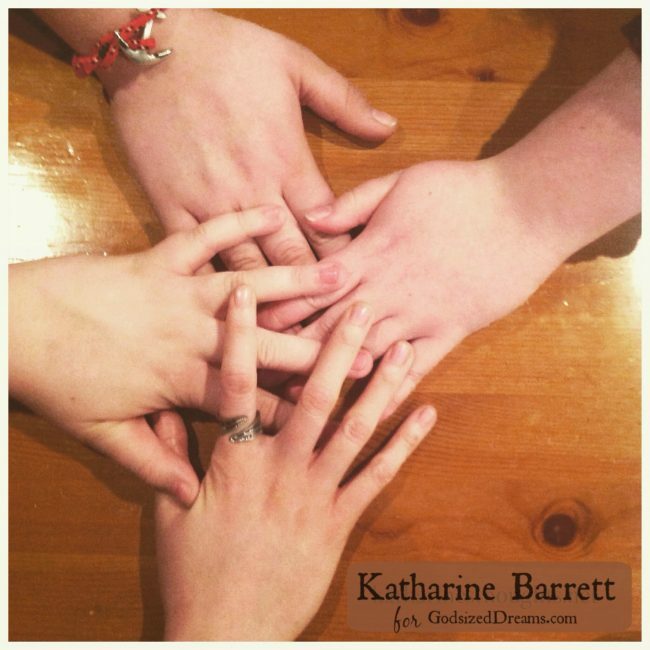 It’s a powerful prayer circle full of love, sometimes tears, even sobs, and lots of laughter and joy too. Everyone gets her turn over the course of the weekend. And everyone returns year after year to hear, to love, to learn, to grow in community. What do we do for one another as a band of community? 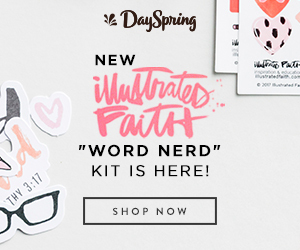 We affirm – Listening so intently validates our worth as a sister and friend, our lives – lumpy, bumpy, and imperfect as they are, our struggles and our triumphs, it all matters. We care – The timing of this weekend is perfect – far away enough from the holidays but near enough that the New Year still feels new. We have an opportunity to reflect back on our year. Doesn’t each year deserve that? And then we start to dream, map out, envision the next year amongst people who we know care. We are present – In the middle of all the busyness of life, we stop. We set aside our plans, our thoughts, ourselves as we listen. We think, we feel, we are present for one another. We remember – A year can be a long time. As we listen and share, we are reminded of our dreams from the past. And sometimes we see progress we hadn’t seen before. We inspire – I have a dream to write a book. Truth be told, several books. And so, I’m sure like many of the God-sized Dreamers who show up here on this site, I collect my thoughts, ideas, notes all the time. This past January, when my dear friend shared, I was struck by how her words were in complete harmony with an idea I’ve been feverishly writing notes on. Coincidence? I think not! I am inspired and propelled to move forward. Our dreams do not exist apart from us. They are in us, an extension of us, a piece of all that makes up each one of us. A dream shared, expressed, acknowledged, accounted for takes shape in community…and sometimes that’s actually where our dream comes true. What’s your dream? Share it with us today so we can cheer you on!